Isn’t this a beautiful postcard! 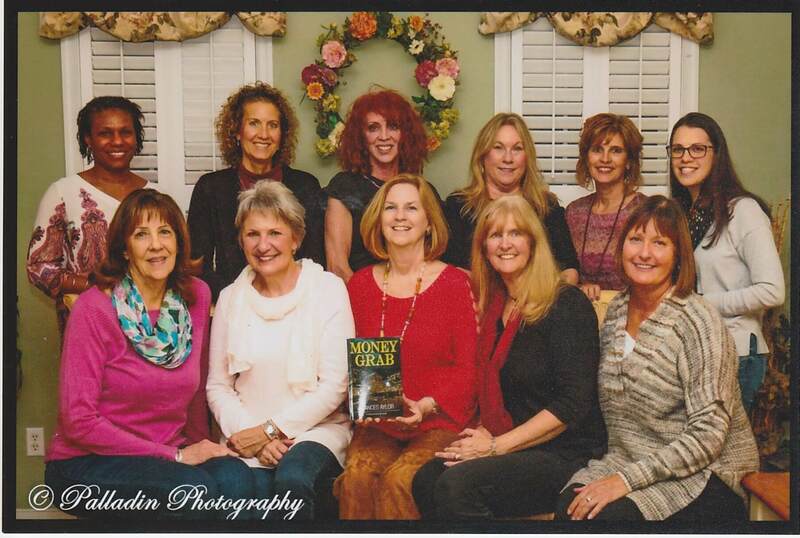 The lovely ladies of The Story Spinners and their author guest, Frances Aylor, posed for this keepsake photo. I’m very pleased to have a “postcard” copy of it for the Book Club section of Postcards and Authors. And if you’re wondering about the perfection of wreath placement, shutters, etc. – that credit goes to Karen D (wearing the red scarf). She’s the owner of Palladin Photography. Thank you Karen and Story Spinners! How did you choose the name of your book club? It’s named after our former neighbor, Lynn Spinner, who envisioned our group. Gender makeup: No Boys Allowed! Some of our creative hosts have tried to match our menu to the book we read. Lots of Candles, Plenty of Cake by Anna Quindlen – Karen C made a grand entrance with cupcakes, complete with CANDLES! The Boston Girl by Anita Diamant – Lynn served Boston Cream Pie. Gone Girl by Gillian Flynn – Karen D threw “healthy” out the window and made Chicken Frito Pie. Book selection method: The next scheduled host selects the book for the next meeting. Other fun ideas: One of our members (Tami) likes to host a movie night every January so we can watch a movie from one of the books we’ve read. Since we’re all so busy over Christmas, this gives us more time to read February’s book! In December, we have a progressive dinner where we include the husbands; hors d’oeuvres at one house and dessert (& EGG NOG!) at another. 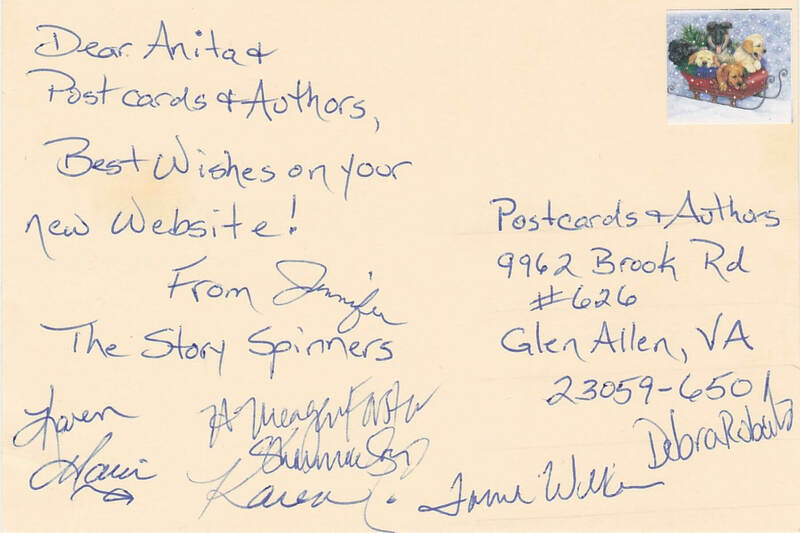 Best wishes, Story Spinners, for more great times together!